Meal-packing volunteers received an unexpected helping hand yesterday. 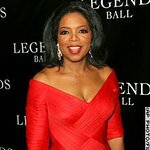 In support of Kroger’s Zero Hunger | Zero Waste anniversary, Oprah Winfrey surprised over 100 members of the Cincinnati community to help pack meals for school children at the Freestore Foodbank on Tuesday, September 11 in Cincinnati, Ohio. In addition to packing 2,000 meals on-site to go toward helping children in the greater Cincinnati community, Winfrey’s food line O, That’s Good! and Kroger together donated one million meals to Feeding America to help families across the country. Winfrey launched her food line O, That’s Good! in 2017 in partnership with Kraft Heinz and it currently includes premium frozen pizza and refrigerated soups and side dishes. The O, That’s Good! brand was inspired by Winfrey’s love for nutritious, great-tasting food. Ten percent of Mealtime Stories’ profits — the joint venture between Kraft Heinz and Oprah Winfrey — is equally split between charitable organizations Rise Against Hunger and Feeding America. The Kraft Heinz Company Foundation intends to make annual donations on behalf of Mealtime Stories to these charities until the joint venture becomes profitable. For more information on O, That’s Good! offerings and where to buy, please visit www.Othatsgood.com. For more information about Kroger’s Zero Hunger | Zero Waste initiative, visit TheKrogerCo.com.